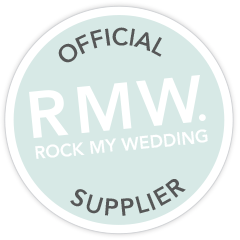 Across the South West, venues a plenty offer Corkage Free packages… Hurrah!! This is the perfect opportunity to make the most of your post-ceremony reception drinks and get creative. Now, there’s nothing wrong with a good classic glass of fizz! Be it Prosecco, Champagne or a Sparkling English Wine. Fizz staked its claim as the worlds celebratory tipple of choice in 1693 when Benedictine monk, Dom Perignon, couldn’t rid his wine of bubbles. He took a sip and yelled “Come quickly! I am drinking the stars!”. This post, however, is for those of you who fancy getting experimental yourselves. Who knows, maybe 400 years from now, people will speak of the day you “drank the stars” on your Big Day. Did we mention that the Dom Perignon empire has a $68.5B net worth… Disclaimer: I can’t guarantee this post will make you a billionaire, but I can guarantee the ideas below will get the fun times flowing at your wedding. This is the first drink guests will have on the Big Day as most ceremonies and venues don’t permit alcohol to be served prior to this key moment. So, it needs to be special! Choose one main drink and accompany it with a soft drink option for non-drinkers. Pleasing everyone with a range of choices may be very tempting, but we think there’s something lovely about setting the tone for the day by all your guests coming together to enjoy the same reception drinks, chosen by their happy couple! Generally, this is kinder on the budget too as you only need one set of ingredients, one type of glassware, and don’t need to pay to have a full bar service in operation. If you do choose more than option, keep alternatives simple to keep your costs sensible. E.g. bottled beers and simple fizz. I.e. things that you are likely to purchase to be served to guests later in the day should your corkage free period last into the evening. Simple options like these shouldn’t require a bar service or additional reception drinks staff. Consider what equipment, measures and methods will be required for your reception drinks and keep these as simple as possible to aid the pace of drinks service. Similarly, think about how to best transport, store and chill your drinks for the Big Day. Consider the season of your wedding. For example: at a Summer wedding, a long, cold drink might be ideal. In Autumn a short cocktail could be perfect to take the edge off the cooler weather. In Winter, a warm, mulled option would be heartily welcomed. Spring see’s awesome British produce start to bloom, so something colourful would bid a fond farewell to our duller months. Is there a ‘theme’ or ‘vibe’ for your Big Day? Rustic, Luxe, Botantical, Victorian, Tiki, Tropical, Countryside, Beachy, Elegant, Retro… Whatever you’ve chosen, you probably have images in mind of guests mingling, laughing, taking photos etc. What reception drinks or glassware are they holding in your vision? Do you prefer spirit-based drinks, fizz-based drinks, beers, or ciders? Spirits The ‘Gin effect’ is revolutionising the spirit world and sparking producers of spirits like Rum and Whiskey to up their game. Fizz If fizz is your thing, why not break away from traditional options and research local English vineyards. English Sparkling Wines have been making HUGE leaps in international markets and competitions, and are a true underdog of the fizz world. They’re helping to put England on the world wine production map. Beers I know, I know, “not everyone will drink beer”. Wrong. It’s your wedding and your friends and family have come to share the celebrations with you. If you love beer, and this is what you want to drink after your “I Do’s”, then drink it you shall! And as for your guests, they’ll want to start the party atmosphere with you, so they will drink it too! The craft beer market is a huge and buzzy industry. Choose a producer who makes a beer you adore, and if you’re worried about those who don’t love beer, it’s likely that your chosen producer makes a ‘safe’, light, easy drinking beer that you could get some supplies of to go alongside your favoured option. Cider Much like beer, cider is an acquired taste. And, much like beer, the market is a wide and varied place! Once you’ve chosen your base, be it Rum, Cider, or English Sparkling, it’s time to think about how to build and serve your reception drinks! Options are endless here… companies like Keeping it Vintage can supply mixed cut glass tumblers, coloured glasses, vintage champagne coups etc. check out their ever-growing range. Suppliers like South West Event Hire or Total Event Hire carry modern and classic quality ranges to suit all budgets. Or, if you’re going full theme, who knows, maybe you’ll research Sake cups or source hollowed coconuts for your reception drinks! Certainly, for spirits anyway! This might start with adding a liqueur, syrup, puree or bitter to build a cocktail. Then, the ‘lengthener’, be it a classic quality tonic or cola, or as experimental as fennel juice. Where beers and ciders are concerned, it’s not uncommon for these to be used to create cocktails. This might be the answer to providing something accessible to all your guests. So, do some research into beer and cider-based cocktails. Trial all of these at home to get quantities right and record your measures and method for whomever is mixing your reception drinks to follow. There are the classics; lemon, lime, orange, cucumber, berries. Choose one classic you like and add in a second adventurous pairing; pink pepper corns, edible flowers, preserved fruits, micro herbs (tree spinach is naturally glittery!). To turn things up another notch, consider adding even more theatre with flames, or dry ice… did we go too far for a second there? Maybe… but how cool would that be! Time to talk reception drinks quantities. You’ll need at least enough for one per guest as a first drink. After this first drink, guests could continue to purchase their own drinks from a bar service if you have one running at this time. Or, you can provide enough for a second, third or fourth drink. Subsequent drinks could be more of the first drink, or you could swap to a simpler alternative following the first round. If providing more than one drink per guest, consider limiting consumption to sensible level. One drink per person, per half an hour is plenty for your post-ceremony reception. This period is likely to be the early part of your day, with plenty of festivities still ahead! As for doing the maths, that’s fairly easy. Multiply the measure of each ingredient you’ve calculated in your trials, by your guest numbers, and then times this figure by the number of reception drinks per person you want to supply. Then, divide these numbers by the volumes of the bottles you’re purchasing to work out how many bottles of each ingredient you require. Then double and triple check to make sure you have enough! For extra reception drinks inspiration, here are a handful of ideas to show how you can build awesome reception drinks using the steps above. These are all based on classic cocktails but with extra special ingredients and as many South West suppliers as we can muster! Served in a tall tumbler or gin coppa with garnishes such as: orange peel, juniper berries, fragrant herbs, seasonal berries, cucumber. Check out what brands recommend to compliment their gins. Craft brands take presentation seriously! You can find awesome bottles that look beautiful exactly as they are, no frills added. Check out: Wild Beer Co.’s ever evolving range of bottled awesomeness. Or, Cloud Water Brew’s artistic cans. Or, investigate personalised labelling for a personal touch to your reception drinks. One of our 2019 couples have coined the phrase ‘Brewly Weds’ and done exactly this for their reception drinks! Yes, we’re biased. Serve cider exactly as its founders intended, from the barrel, into a leaven… or a pint glass. Shake things up with a controversial choice of glass like an amber toned goblet and garnish with thin green apple slices to turn simple into stunning. Or, go bottled! Like beer, cider makers are awake to the world of beautiful bottle design. Yes, even all the way down ‘ere! Check out Lyme Bay’s Jack Ratt range and Luscombe Cider smart offerings if you don’t believe me. Mix and mull the cider and apple juice until warm then measure vodka into a heavy tumbler with a toffee apple sugared rim and add the mulled mixture with a gentle stir. Why import when Lyme Bay are producing dreamy English Sparkling Wines like their Classic Cuvée and Sparkling Rosé. Chill it and serve it in a flute, no negotiations required! Choose a seasonal fruit liqueur; rhubarb, raspberry, blackberry, plum etc. Topped right up with your choice of fizz! Have fun experimenting with your reception drinks! We look forward to raising a glass to you on the Big Day.